Wonderful traditional home with unlimited potential on a corner lot and cul-de-sac. Inviting front yard with mature trees and a front porch. The formal living and dining room are open and bright. The kitchen features main floor laundry and a sunny breakfast nook with French doors that open out to the fenced in lush yard. The cozy family room centers around a wood burning fireplace with brick surround. All of the bedrooms are on the same level upstairs. The master suite has a private shower and toilet room with a vanity and several mirrored closets right outside. Unfinished basement ready for your personal touch. Brand new garage door and newer garage mechanism. Original owner and priced to sell. 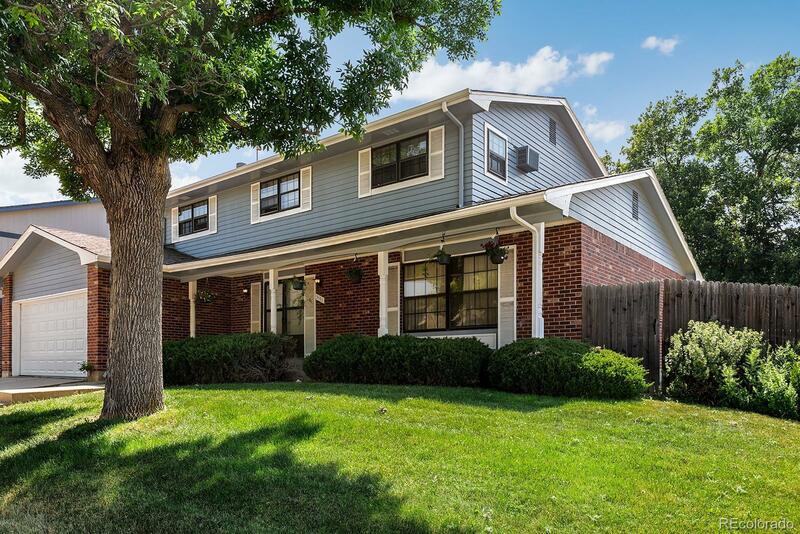 Close to Cherry Creek Reservoir and minutes to Downtown or DTC with easy access to Highways and Light rail system.